Contemporary Style Interior Design: Contemporary Style Interior Design The terms modern interior design and contemporary interior design are often used interchangeably, however there is a difference between the two. Contemporary interior design can only mean trendy looks that are in style at any current moment, while modern interior design refers to the specific geometrical, clean-lined style called modern. The fact that the modern style may also be a part of a current look or trend adds to the confusion between modern and contemporary. Contemporary interiors are comfortable and welcoming without being cluttered and dark and is a style that is equally appropriate for offices and stores, lofts and homes. A contemporary style home can be a quiet and comfortable retreat. The key identifying feature of a contemporary style interior design is line. Line can be used through the use of bold colour blocks, high ceilings, “square” edged furniture, linear wooden floors, floor mats, bare windows and geometric shapes in wall art and sculpture. The bare space, on walls, between pieces of furniture, and above in upper areas also become just as important as the areas filled with objects. Each piece stands out as individual and unique.Smooth, clean, geometric shapes are essential for contemporary style furniture pieces with upholstered furniture usually in black, white, or another neutral tone. These pieces should be simple and uncluttered, without curves or decoration. Sofas, chairs, and Ottomans usually have exposed legs with Beds and chairs usually having no trims or tassels. In conclusion, with contemporary interiors, less is more. Go basic, bare, bold, and structural with bespoke, unique and individual furniture. Victorian Style Interior Design: Victorian Style Interior Design The Victorian style originated during the Victorian era and is often described as opulent and luxurious. Victorian style is the near opposite to minimalism, it is based on an excessive amount of ornate and flamboyant decorations, accessories, the more you have on display the better. But Victorian style also includes features in order to avoid clutter. The excessive decorative furniture and ornament are contrasted by plain floor and wall surfaces.The Victorian Style uses deep hues, pastels and neutral colours contrast the rich textures against the bright shades in upholstery and wall coverings. Exotic materials and heavy woods became available during Victorian era and were used extensively in the furniture of the time but today you can find pieces of Victorian style furniture in cheaper materials. This has seen a recent revival in the style with a type of modern Victorian style emerging. To Recap, the main characteristics of the Victorian interior design style are… Opulent and luxurious with excessive decorations. Walls and floors kept plain to contrast decorative features. Decorative but uncluttered. Deep hues of pastel and neutral colours. Exotic woods used in furniture. Interior Design Styles At the start of any interior design project, you wonder what style should I choose? what style do I like? what style will look good in that space? what style will I feel comfortable with? Whether you’re decorating a single room or a whole house, a bungalow or a mansion the style will change dependent on the existing space and what is appropriate for it. The above image of interior design styles is not a definitive list but rather a selection of some of the most common or popular interior design styles, more styles exist and more are being created all the time. If you want to learn more about any of the interior design styles shown above, read the full interior design styles article HERE. Rococo Style Interior Design: Rococo Style Interior Design The Rococo style of interior design is flamboyant and rich with intricate and ornate features. Rococo style peaked during 1700 and 1780 in western Europe and the name Rococo means ‘rocaille’ in French, which is appropriate as the Rococo’s ornate asymmetry was inspired by natural curves of trees, shells, clouds and flowers. Gold plasterwork is one of the key features of Rococo decorating style with lavishly decorated walls and ceilings featuring the contrast of pastels and gold. The use of mirrors was also a feature of Rococo Interiors and they were usually had intricately-shaped, gilded frames. Rococo furniture is made of mahogany wood or gilded and upholstered in leather, brocade or velour. It also has carved and sinuous silhouettes that compliment the wall and ceiling finishing, which strengthened the ornate theme. Rococo was known for such colours as yellow, pink, ivory and gold, azure blue and cream. The combination of pastels and gold is a signature mark of this style. Rococo style favoured curved lines so previously used asymmetrical square lines and forms were replaced with circular, oval, spiral and natural forms, even rooms were designed in oval shape or arranged to avoid square form. Use of industrial materials. Exposed structural materials used as a feature. Unique (non functional) objects used as features. Aims to create open space. Often seen in converted buildings. To Recap, the main characteristics of the contemporary interior design style are… Refers to in style or trendy looks. Basic, bare but bold. Negative space as important as objects Smooth, clean and geometric shapes essential. Copied from Ancient Greece and Rome but with Chinese influences. Decorative porcelain and luxurious fabrics as features. Motifs like peonies and chrysanthemums used. Colour schemes were pale and subtle. Cabriolet legs and claw feet on chairs and baths. Fireplace at the heart of the room. Retro Style Interior Design: Retro Style Interior Design Every few decades, old designs seems to make a comeback, but with a modern twist. This is referred to as the Retro style, and is an eclectic mix of old styles and new forms, or new forms with old materials and finishes. The post war fifties and psychedelic sixties saw a move towards brighter and bolder colours most likely as a backlash to doom and gloom of the war torn forties. Nowadays Retro interior designs can be described as taking a little bit of these features and bringing them back into the present in order to create a new style of interior design that is both modern and fun. As there is so much to choose from past styles, what you decide to include will ultimately be your own interpretation of the past, and will therefore be entirely unique and individual. During each of the past few decades there have been different materials, shapes, colours, artefacts, and gadgets that have left a lasting impression on all of us, some of which may be significant in the memories from our childhood and may therefore be more suited for your personal Retro style. Nowadays, anything from the 50’s, 60’s or even the 70’s is fashionable again. However, because there are so many different ways to go about incorporating a Retro interior style into your home, it can be difficult to recognize it when you see it. The key identifying feature can therefore only be described as an old style with a modern twist. 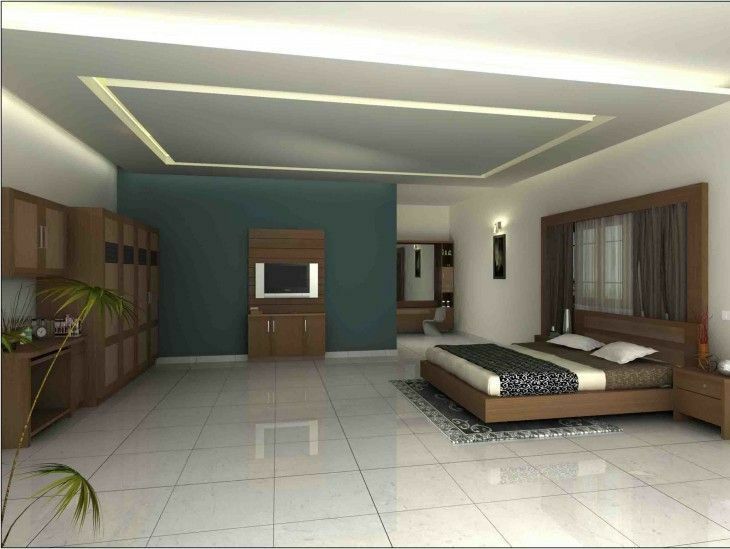 To Recap, the main characteristics of the retro interior design style are… Re imagined existing designs. Eclectic mix of materials. Classic objects used. Can be difficult to recognise. *If you enjoyed this you may also enjoy reading about Graphic Design Styles or Furniture Design Styles. Modern Style Interior Design: Modern Style Interior Design The creation of the modern interior design style is credited to a group of European designers that started the Bauhaus School of Design in Germany in 1919. The Bauhaus philosophy is that form and function should combine in all designs. Modern Style design is clean-lined and focuses first and foremost on function and avoids the excessive accessories and decorative elements seen in many other styles. Some people feel the modern design is too simple, harsh or cold, however when well planned it can promote a sense of calmness and simplicity to your home.The modern style is ideal for apartments and small spaces as it maximizes space and create the impression that a room is larger than it actually is. Minimal textures and bold geometric forms, neutral colours accented with a single bold colour along with polished finishes and asymmetrical balance are key identifying features of modern style interiors. Interior Design Styles At the start of any interior design project, you wonder what style should I choose? what style do I like? what style will look good in that space? what style will I feel comfortable with? Whether you’re decorating a single room or a whole house, a bungalow or a mansion the style will change dependant on the existing space and what is appropriate for it. The following list of interior design styles is not a definitive list but rather a selection of some of the most common or popular interior design styles, more styles exist and more are being created all the time. 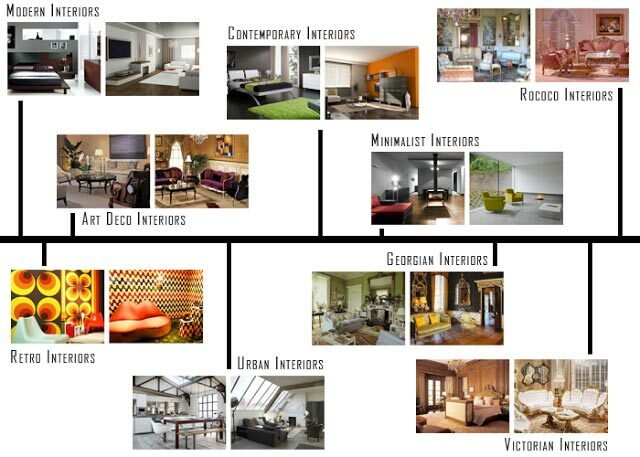 You should use this list to gain a basic understanding of common interior design styles and what is involved in each of them, how they differ and how to create them. This article discusses the following types of interior design styles. Art Deco Style Interior Design: Art Deco Style Interior Design The Art Deco style was developed following World War I, to offer people a new style for a new era. The excitement and optimism of post-war Europe and America formed the basis for this glamorous and elegant style of design. Art Deco furniture is streamlined in design. It was modern and sleek for the time while still remaining comfortable. Many designs of furniture used industrial materials such as bent chrome base that gives the piece a rocking effect. Wood pieces are highly lacquered in black, with woods used including exotic Brazilian rosewood, ebony, birds-eye maple, and light maple veneers. Upholstery is typically of velour, making the rigid structural form more comfortable. Because Art Deco interiors were relatively minimalist for the time, colours are used sparingly. Most colour schemes include black, combined with another colour such as green, red or white while accent colours are usually chrome and/or gold. Pale blue or dove grey were also commonly used to provide a softening effect against the harsh black.Art Deco lighting is extensive including ceiling lights, floor lamps, table lamps and wall lamps. Floor lamps include tall torchieres in wrought iron or chrome with hand blown glass shades. Some are also of black wrought iron. Table lamps of bright nickel with white, clear, frosted, or colourful glass shades are common. Wall lamps can be bronze, aluminium, steel, or silver plated base metal with opaque white or colourful glass shades. All this lighting is warm, usually orange or yellow in colour.Surfaces in the Art Deco style are generally sleek and clean, lacking any texture in order to contrast the more decorative and ornate objects and furniture within the space. Mirrors made of nickel, chrome, or silver are decorated with motifs of deer, peacocks, roses, and geometric shapes. Bronze sculptures are sleek covered with coloured or pearl beads. Desk sets of pen and pencil on a base are streamlined in design. Door handles and candlesticks moulded of nickel, chrome, or silver have woodsy or chevron shapes. Frosted glass or black and white marble are used for vases. Inlay is common and adds colour and design. Cameo glass vases show under layers of colour exposed by etching away top layers of white or clear glass. All these decorative and slightly over the top objects were a show of renewed wealth and prosperity after the harsh rationing endured during the war. To Recap, the main characteristics of the Art Deco interior design style are… Glamorous and elegant style. Industrial metals and lacquered wood. Black as a main or background colour. Numerous light sources used. Bold, colourful patterns. Intentionally, overly decorative. Cosy and comfortable but sometimes cluttered. Traditional to the context, e.g. French Country, American Country etc. Natural and floral patterns used with plaids and stripes. Robust, bulky furniture. Rough finishes on materials. Georgian Style Interior Design: Georgian Style Interior Design Early Georgian style was the tail-end of Queen Anne design, and this gradually became more severe in its lines and architectural detail. The style was copied from Ancient Greece and Rome, however a lot of Chinese design showed through in the interior. Chinese motifs like peonies and chrysanthemums were found in the fabric and Chinese porcelain and motif table lamps were common. colour schemes were pale and subtle cream, dusky rose, sage, pea green, powder blue. Florals were also found, and in more grander houses, gold and murals were the preferred wall coverings. Upholstery and curtains often had matching fabric.The Georgian interior design style is characterized by delicate furniture with elaborately carved cabriolet legs, ball-and-claw feet, broken pediments, ornate carvings, piercing and gilding. Fabrics were luxurious, with colours and patterns kept subtle. A royal style extended into common houses with cabriolet legs and claw feet on chairs and baths creating an almost throne-like feel. Mahogany slowly replaced walnut as the wood of choice. The fireplace was the heart of the room and was often fully outfitted with cast iron, carved pillars and medallions, and an opulent fire screen. To Recap, the main characteristics of the Georgian interior design style are. Urban Style Interior Design: Urban Style Interior Design Urban interiors feature non-traditional home materials and design features, often including objects that are more traditionally used in an industrial sense. The Urban style sees the use of galvanised steel, concrete floors, metal siding, exposed beams and unfinished surfaces to create a distinctly modern, bohemian look. Often random, non functional (in household terms) objects are included in Urban interiors to create an outdoor or industrial atmosphere. In more up scale urban interiors, however, the look is far more polished, with bespoke fixtures, sophisticated finishes and clever small space solutions, such as open floor plans that allow for multi-functional rooms. This alludes to the central function of urban interiors which is to create space, sometimes in surprising ways. Combination living/working spaces have become traditional in inner cities and industrial areas, often referred to as studio apartments. Renovated warehouses might feature a concrete floor for large scale artwork or production and an upper loft for a living space. Industrial building converted into high-rise apartments, up scale condominiums and mixed-use buildings are other innovations to urban living spaces and rather that fighting the existing industrial feature within these spaces Urban interior design embraces them. Country Style Interior Design: Country Style Interior Design Country style interior design is cosy bearing the resemblance of cottage style. There are many various culturally different country style designs that have the features of the time and style that was traditional to those countries. Thus you may find such country style types as French country, English country, American country, Italian country or Tuscan, and Modern country. Each type of country style has taken characteristic features of the culture it was used in. English country is relaxed and comfortable incorporating many floral patterns as well as stripes and plaids. Natural light wood, such as oak, is used throughout the English country styles. Open space is not considered important in the country style with large furniture pieces often dominating a space with the walls often decorated with a variety of pictures, utensils or other objects. French country style is characterized by deep and bright colours – aubergine, lavender, yellow, azure blue. colours are built into floral and animal patterns. The furniture is robust and basic. 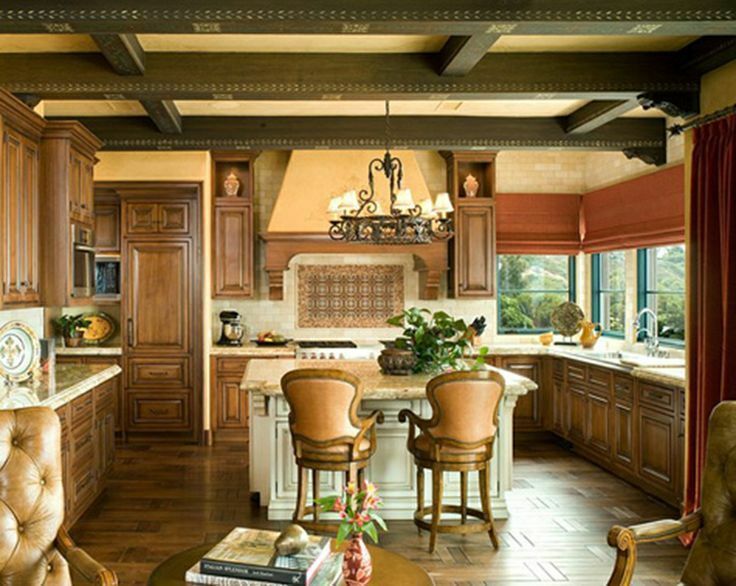 Italian country style, also known as Tuscan is warm and rustic. It incorporates such colours as ochre, terracotta, golden yellow, and green. The flooring and fireplaces are made of natural stone. Unfinished wooden pieces and textured walls accentuate the rustic feel. American country style has its main feature in simplicity. The furniture can be stained, painted or unfinished. Modern country style has an updated look. Incorporating modern art, furniture or lighting into the traditional design makes it more up to date but still cosy and lived-in. Minimalist Style Interior Design: Minimalist Style Interior Design Minimalist architecture became popular in the late 1980s in London and New York, where designers worked to achieve simplicity, using white elements, cold white or blue lighting, large spaces with minimum objects and furniture. The concept of minimalist design is to strip everything down to its essential quality and achieve simplicity. Minimalism simplifies living spaces to reveal the essential quality of buildings and conveys simplicity in attitudes toward life. It is inspired from the Japanese traditional design and the concept of Zen philosophy.The idea is not completely without ornamentation, but everything is as reduced down to a stage where you cannot remove anything further to improve the design, or without dis-improving it. The basic geometric forms, elements without decoration, simple materials and the repetitions of structures can represent a sense of order and essential quality. The movement of natural light in minimalist buildings reveals simple and clean spaces. In order to successfully implement a minimalist style storage is key in order to allow the space to remain minimal while still retaining the essential objects you use within that space. Minimalist kitchens are an excellent example of this, where clever use of space and hidden storage is regularly used. To Recap, the main characteristics of the minimalist interior design style are… Cool colours and white or blue lighting. Large open spaces with minimum furniture, essentials only. Reduced to ideal quantity. Storage is key to maintaining minimalism. Natural light used as a feature. To Recap, the main characteristics of the classic interior design style are… Order, symmetry and balance are key. Room ordered around a focal point, such as the fireplace. Natural colours and materials. Elegant fabrics. Flamboyant and rich. Lots of intricate, ornate, decorative features. Gold painted plasterwork contrasting with pastel wall colours. Multiple ornate mirrors commonly used. Expensive materials used in furniture, e.
g. teak and mahogany. Curves, spirals and ovals are dominant. Classic Style Interior Design: Classical Style Interior Design Classical interior design is based on order, symmetry and balance which relates to the ideals of the Greek and Roman empires. A primary element in classical style is the use of a focal point around which visual balance is achieved, for example a feature fireplace flanked on either side by matching armchairs with an ornate mirror above. The colour palette common to classical interior design style is often inspired by nature. A variety of yellows, blues, greens, browns as well as softer, muted hues like terracottas, greys and pinks are commonly used. When accenting with whites, choose off-white if you want to stay in keeping with a more authentic classical colour palette. Choose bright white if you want a slightly more contemporary feel instead.Fabrics used in classical interior design style tend to be elegant without being overly ornate or attention grabbing. Cotton, canvas and velvet are some commonly used in classic interiors. Natural flooring of wood, stone or marble works best in the classically styled environment as they relate well to the natural colour schemes used. The key identifying feature of the classic style is symmetry with each side of the room mirrored on either side of a central focal point. Columns are also a feature of classic design, relating back to Greek and Roman architecture, and as such vertical, tone-on-tone stripes on the walls or curtains can represent this. The use of classical ornamentation can also be used to identify a room as being of the classical style.